It's pretty funny modification with which you can ride a mob. Now you will be able to ride on a normal pig, just like a horse. All is easy - just install the script! Moreover, the archive contains the addon by which you will have a few items: this is a fishing rod, saddle and a carrot - that's all you need to ride a pig. 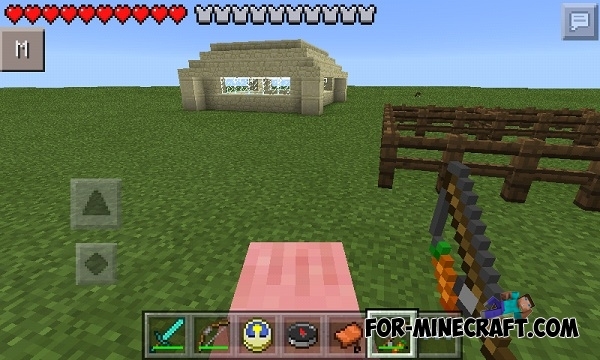 Horse mod for Minecraft PE 0.10.5Everyone knows that the PC version of minecraft you can ride on pigs and horses, but in MCPE unfortunately it is not. New Ride Mod for MCPE 0.10.5This is a fun cheat with which you can sit on any player, as well as this cheat is not blocked on the LBSG server and you can have fun. 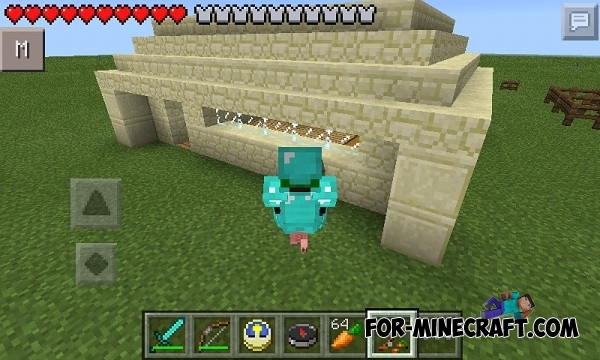 Saddle mod for Minecraft PE 0.10.5This mod adds to the game a unique mount the saddle through which it will be easy to ride any creature. Mr Bones’ Wild Ride map for MCPE 0.10.0Hey adventurers! Have you ever wanted to ride on a huge tunnels, feel all the buzz addiction or just fly? No? Then you should definitely do it!